Choosing a Certified Pre-Owned vehicle will take your used car shopping experience to a whole new level. Every like-new, low-mileage Certified Pre-Owned car, truck, and SUV in our inventory must pass a thorough multi-point inspection to ensure that it meets the strict standards of the original manufacturer. We carry a terrific selection of CPO vehicles from top automakers such as Chevrolet, Ford, Mazda, Nissan, BMW, and more. Explore our Certified Pre-Owned inventory, then contact the Sandy Sansing dealership near you to schedule a test drive. 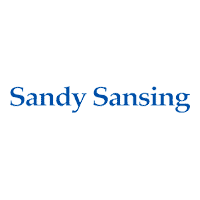 Why Buy a Certified Pre-Owned Vehicle at Sandy Sansing? While we are proud of the quality of all the used vehicles we carry, the benefits of a Certified Pre-Owned vehicle add an extra level of peace of mind. If you plan on trading in your current vehicle, find the fair market price with our trade-in estimator. Thinking of financing your CPO vehicle purchase? Use our payment calculator to determine what your monthly payments will be, then stop by your local Sandy Sansing dealership to get behind the wheel of the budget-friendly CPO vehicle that best suits your needs today!